Terry Francona emerged from the meetings and spoke to the media for about 18 minutes. He added a little to the Daisuke Matsuzaka story, saying the injury was apparently something the righthander did while working out at Athletes’ Performance in Arizona. The Sox are being cautious and they don’t expect it to be a long-term problem. He admitted that the Mike Lowell situation is a little tricky. The team has pretty much decided on 12 pitchers. Boof Bonser will be worked as a starter during spring training to get him stretched out. That does not preclude him from starting the season in the bullpen. 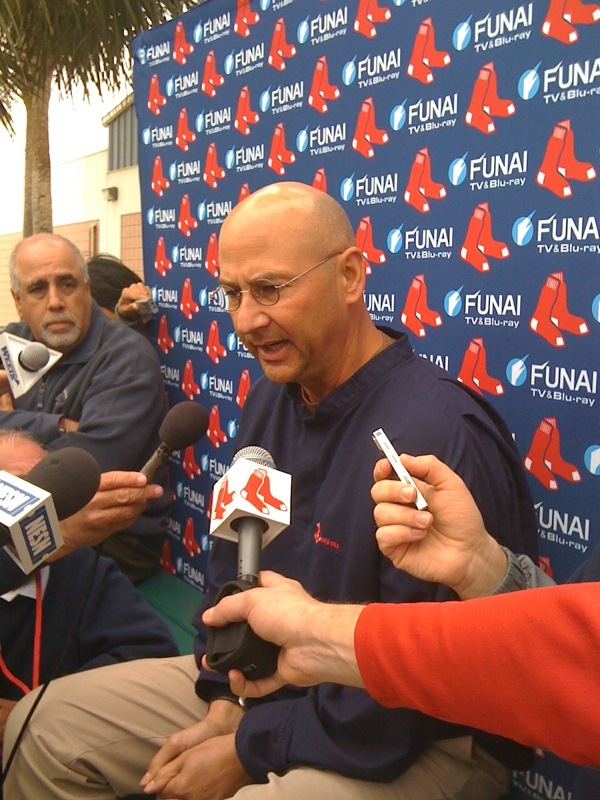 Francona said he was happy to see the team sign Joe Nelson. He wants to get Bill Hall work all around the infield and he’s eager to get to know Marco Scutaro and Adrian Beltre. Back with some more later on.